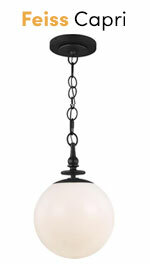 Capital Lighting Pendant - I love this pendant for a new mix into a modern farmhouse style. The quarry finish gives it a handmade look and brings interest through texture but still carries clean lines and adds sharp contrast to white cabinets. 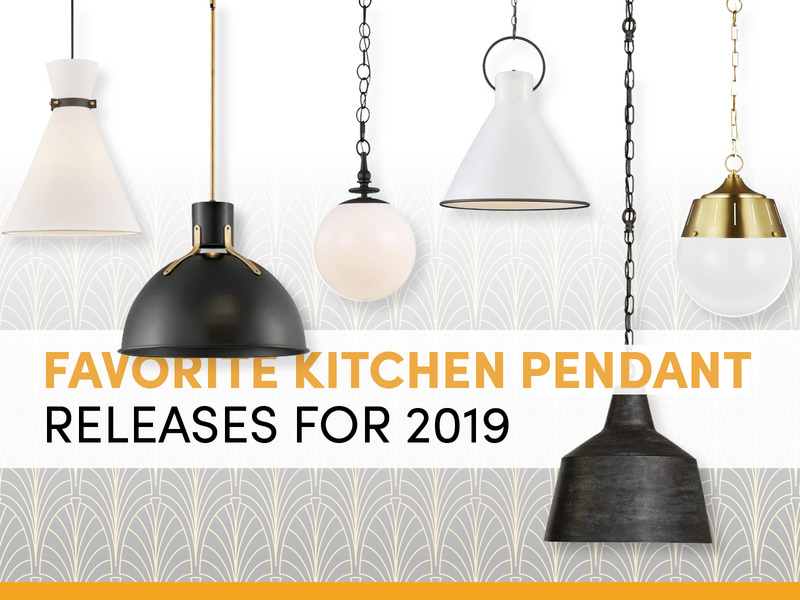 Feiss Capri Pendant - This pendant reminds me of the original 19th Century fixtures I saw last year while in New York touring the public library. A simplified take on a classic that will stand the test of time which is no surprise considering it was designed by Thomas O'Brien. Feiss Arlett - Another hit for the Thomas O' Brien's collection with the Generation brand. This fixture nods to several references of years past but still feels incredibly fresh. I would love to see this burnished brass pendant in a kitchen with rich green cabinetry and marble counters . . . drool worthy. 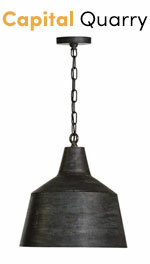 Hinkley Argo - I think the simplicity of this pendant is such a great choice for so many spaces. To me, it carries those Rejuvenation Hardware vibes that everyone in the Pacific Northwest is going crazy for. Tone down a space with this easy style or add an industrial element with this LED fixture. Hinkley Winnie - In the Boise area, farmhouse style is still going strong and this pendant is here to serve that look for you. I love the over-sized ring that provides a fun balance to the angular base. The white with black trim would be the ultimate pop to a kitchen with darker elements. 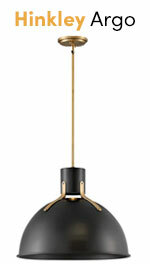 Mitzi Lighting Julia - I love a classic mid-mod silhouette with some industrial hardware mixed in and this pendant is just that. It's simple enough to fit in a number of settings but can also stand alone with the strong lines.